Proper maintenance is an essential part of any garden. 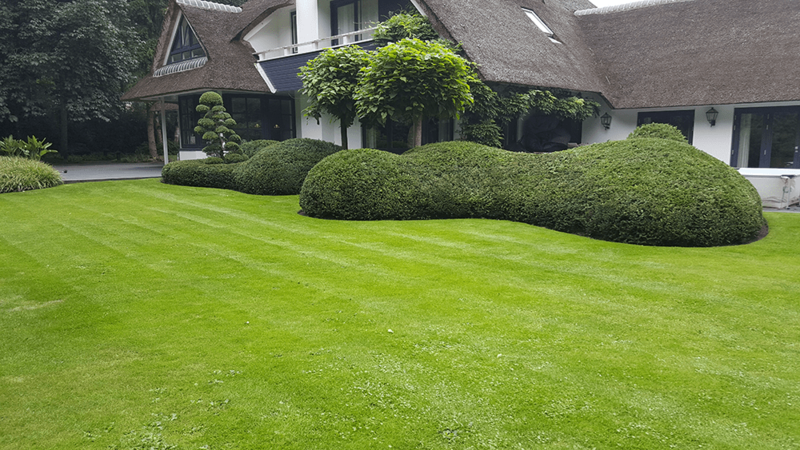 With quality workmanship and an eye for detail, our expert team will take care of your garden. When you contact us regarding the maintenance of your garden, we will visit you to understand your requirements. Then we’ll discuss and share our opinion about the anticipated work involved, which is followed by either a verbal or written quotation. We offer three types of maintenance: contract work, variable basis and incidental maintenance with prior quotation. Contract work involves a quotation, which clearly stipulates what works are carried out when, and how long the activities should take. The contract period is typically for a year or longer, with maintenance taking place weekly or bi-weekly. The customer, depending on the type of work agreed, would not have to worry about maintaining their garden. Invoicing is for an agreed number of hours (determined upfront) and happens each quarter. With the variable maintenance arrangement, an agreement is made upfront about the desired, maintained look of the garden. Then, according to our own insight, we allocate time (usually on a fixed day) and type of work required to achieve this. Invoicing happens monthly, according to the actual number of hours made. This could be one-off for a large project or more frequently, for regular maintenance with larger intervals. Activities typically include scarifying, fertilising, pruning and preparing for winter. You could imagine a scenario where the amount of work in the garden has become too much and you could use a set of professional hands. That calls for incidental maintenance, where we fix a price for the activities you wish us to carry out. Afterwards, it’s up to you to continue maintaining your garden yourself. Alternatively, we’d be happy to support you again if needed.